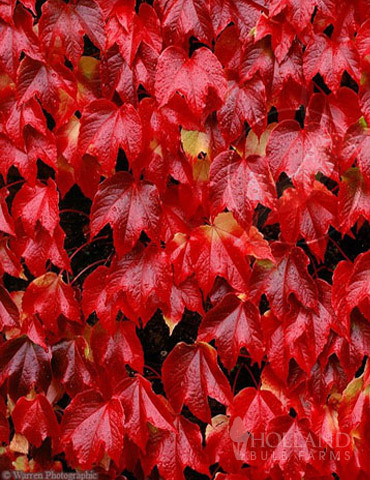 Boston Ivy is a classic vine grown for it's magnificent fall foliage! Boston Ivy is a vigorous grower, that can grow 1' foot per year! It does best if grown on a fence or support structure. It can be grown on brick homes for covering, however once it start to grow on such a structure it is difficult to remove. If you plan on growing this for siding in your home, make sure it is ok that it will be a permanent feature. It can also be used as an effective ground cover and looks nice trailing over a wall or split rail fence.